Special Order Birthday Cake. 2-layer 6" Chocolate Cake w/Raspberry Filling & Ganache. Chocolate Chip Cookies, Chocolate Cakes w/Peanut Butter Cream, Lemon Cakes w/Lemon Custard & Vanilla Cream, Oatmeal Cream Pies, Cranberry Muffins, Chocolate Cherry Cookies, Almond Chocolate Chip Cookies(gluten free), Double Chocolate Brownies w/ Walnuts(gluten free) and more at the Co-op! Vanilla Cream Filled Cakes(twinkies), Cinnamon Raisin Muffins, Peanut Butter Cookies, Macadamia Chocolate Chip Cookies, Peanut Chocolate Chip Granola Bars, Oatmeal Cream Pies, Everything Bagels and more at the Co-op. Chocolate Cakes w/Vanilla Cream, Lemon Cakes w/Lemon Custard & Vanilla Cream, Cherry Lemon Muffins, Chocolate Chip Muffins, Oatmeal Raisin Cookies, Almond Chocolate Chip Cookies(gluten free), Double Chocolate Brownies w/Walnuts(gluten free) Granola Bars and more at the Co-op. Chocolate PB Cream Cookies, Macadamia Chocolate Chip Cookies, Cherry Lemon Muffins, Everything Bagels, Oatmeal Cream Pies and more at the Co-op! Vegan, Dairy Free, Egg Free or Gluten Free. Have a peanut or soy allergy? We have you Covered. Stop into Mountain Peoples Co-op for vegan treats! They also have local produce, bulk foods, spices, pastas, dairy free ice creams and more. 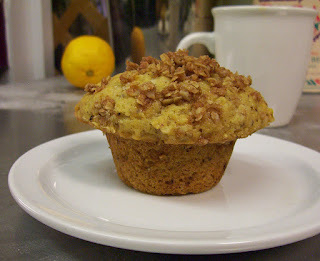 Walnut Streusel Topped Muffins, Ginger Peach Muffins, Chocolate Cakes w/Peanut Butter Cream & Ganache, Double Chocolate Brownies w/ Walnuts(gluten free) Cherry Coconut Cookies(gluten free), Peanut Butter Cookies, Oatmeal Cream Pies and more at the Co-op. Chocolate Cakes w/Raspberry Filling & Ganache, Vanilla Cream Filled Cakes, Chocolate Chip Cookies, Oatmeal Cream Pies, Granola Bars and more at the Co-op. Double Chocolate Brownies w/ Walnuts, Almond Chocolate Chip Cookies and Cherry Coconut Cookies. Gluten Free treats are at the Co-op. Everything Bagels(organic ingredients), Blueberry Pastries, Peanut Butter Cookies, Oatmeal Cream Pies, Oatmeal Raisin Cookies, Cherry Coconut Muffins, Cranberry Almond Muffins and more at the Co-op. Peanut Butter Cookies, Almond Chocolate Chip Cookies(gluten free), Double Chocolate Brownies w/walnuts(gluten free), Lemon Poppy Ginger Muffins, Chocolate Chip Cookies, Chocolate Cakes w/Vanilla Cream and more at the Co-op. Open til 8 P.M.